It is commonly – and correctly – argued that the rise of fan punditry in football can be credited with digital advances. Technological developments have facilitated the entry of non-professional voices into the journalistic arena and completely transformed the nature of discussion and analysis. The rules have changed: punditry has become increasingly uncensored, certainly on social media platforms. The grip of sports editors, radio and TV producers over discourse in the football media environment has been loosened. 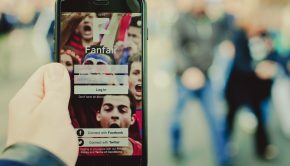 In recent years, YouTube channels, vlogs and social media sites have provided football fans with platforms through which to express their opinions, in both unfiltered and instant fashion. These new media have had a potent effect on the way in which football punditry is conducted. Fans, smartened through easy access to historical records, statistics and tactical information, have used alternative platforms to demonstrate their lack of patience with mainstream punditry. As football fans have become more knowledgeable, their dissatisfaction with the quality of professional punditry has declined, perhaps the result of higher expectations and a desire to see their footballing acumen reflected on television. 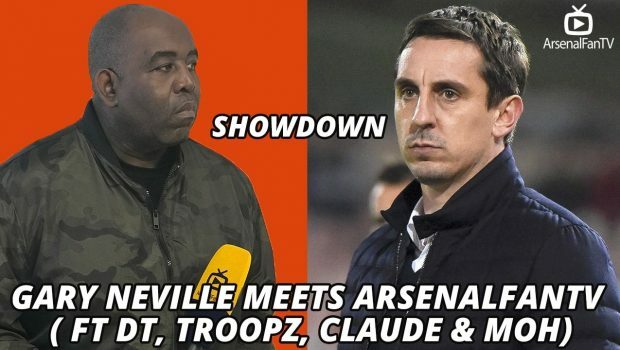 Microcosmic of the growing competition between fan-led and professional punditry were Gary Neville’s comments on Sky’s Super Sunday recently about Arsenal Fan TV, a successful YouTube channel attracting hundreds of thousands of views. 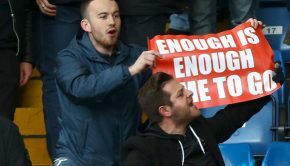 He referred to Arsenal fans outside Stamford Bridge participating in filmed interviews as “embarrassing”, and called one man inside the ground brandishing a ‘Time for Change’ banner an “idiot”. t were expressed, the segment illustrated a disconnect between mainstream and fan opinion. I do not think that comment on whether Neville was right is necessary. But his comments were a powerful reminder that many fans simply no longer feel represented in the footballing world. Television companies, intent on maximising their viewership and advertising revenue, hire big-name pundits on lucrative deals. The result is often a monotonous and one-dimensional sample of experts. Most big football matches today are analysed by ex-Arsenal, Liverpool or Manchester United players. For broadcasters, it has become more about presentation than it has intelligent – or even watchable – discussion. This fact symbolises one huge change in modern professional football. Fan marginalisation is now widespread. In the upper reaches of the the game, it manifests itself in sky-high ticket prices, intensive commercialisation and corporate sponsors dominating the financial and sporting agendas. Where it was once considered the norm for the working classes to pay the top clubs a visit and watch them play, nowadays, those in attendance tend to be older fans and clients at various events. 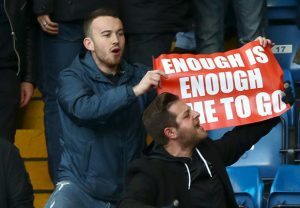 Replaced by corporate hospitality, commercial leverage on club policy and TV rights, the modern football fan has seen his or her role in and around the stadium attacked to a demoralising extent. In many ways, football was always capitalist, but the modern trend of prioritising corporate influence over fan involvement has left supporters unfamiliar with the sport they once knew, and bred huge resentment. Once upon a time, football pundits were liked and trusted. Fans were more deferential. They knew less and didn’t have the same readily-available information that they now enjoy. 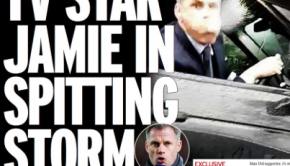 Fans appreciated those ex-pros and their ‘expert’ views. Today, fans have been excluded from football’s centre of focus. 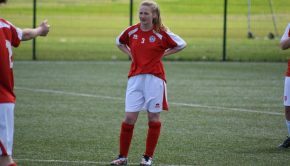 Their response to this crushing blow has been to mobilise and attack the game from the new avenues provided by digital platforms – and with impressive popularity. The disenfranchisement of modern fans has given birth to a monster that football itself can do little to change. The anger visible amidst the content of amateur punditry, too, highlights the growing separation between the interests of the average fan and the direction that the game is taking. One only has to watch YouTube clips and browse the internet for a few minutes to find individuals committed to rallying against club owners and the excesses of modern, neo-liberal capitalism. The digital age, it is true, has allowed supporters to venture into punditry, share their views in blogs and videos and engage with others. But perhaps the most potent incentive for this has been the treatment of the modern football fan, left sidelined by the cynical business executives who really run the game.